Dewalt Heavy Duty Work Stand Dewalt Heavy Duty Portable Folding Miter Saw Power Tool Shop Work Stand Station. 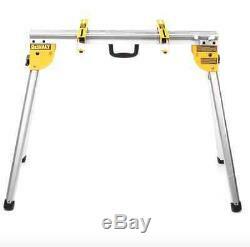 The DEWALT Heavy Duty Work Stand with Mounting Brackets has a compact design that allows for easy transport and storage. 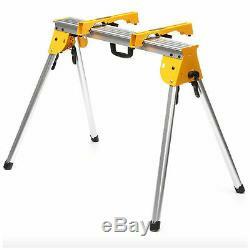 Included mounting brackets let you use it as a tool stand for your miter saw. Though it's constructed of lightweight aluminum and weighs only 15.4 lbs. The stand has a 1000-pound capacity to handle the toughest jobs. 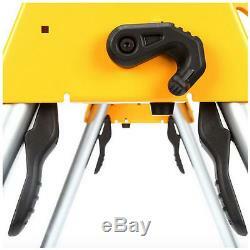 Leg lock levers make set-up fast and easy. Compact, lightweight aluminum design for storage and travel. Legs provide superior support and fold for easy storage. 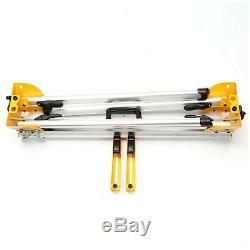 Transport latch allows a pair of stands to be easily transported together. 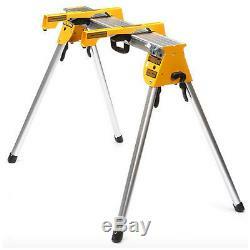 Includes 2 miter saw mounting brackets for use as a tool stand. 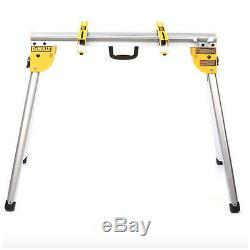 Includes miter saw mounting brackets allowing use as a tool stand. Bench & Stationary Tool Type. 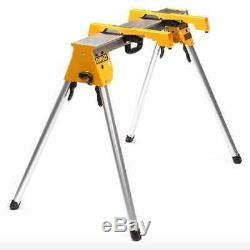 The item "Dewalt Heavy Duty Portable Folding Miter Saw Power Tool Shop Work Stand Station" is in sale since Wednesday, July 20, 2016. This item is in the category "Home & Garden\Tools & Workshop Equipment\Workshop Equipment\Jacks, Stands & Sawhorses". The seller is "qualities4less" and is located in San Gabriel, California. This item can be shipped to United States, Canada, United Kingdom, Denmark, Romania, Slovakia, Bulgaria, Czech republic, Finland, Hungary, Latvia, Lithuania, Malta, Estonia, Australia, Greece, Portugal, Cyprus, Slovenia, Japan, China, Sweden, South Korea, Indonesia, Taiwan, South africa, Thailand, Belgium, France, Hong Kong, Ireland, Netherlands, Poland, Spain, Italy, Germany, Austria, Israel, Mexico, New Zealand, Philippines, Singapore, Switzerland, Norway, Saudi arabia, Ukraine, United arab emirates, Qatar, Kuwait, Bahrain, Croatia, Malaysia, Brazil, Chile, Colombia, Costa rica, Dominican republic, Panama, Trinidad and tobago, Guatemala, El salvador, Honduras, Jamaica, Bahamas, Viet nam, Uruguay.